Working with Claire was wonderful! My lifestyle and career changed quite drastically, and I needed help bringing my closet up to speed. I had some great pieces but I didn't know how to start putting them together. Claire identified gaps in my wardrobe and gave me very useful tips on outfits, style, and organization. Shopping is definitely not an activity I enjoy but Claire made it painless (fun, actually!) and efficient. Comfort and functionality are most important to me. I wanted to maintain simplicity but build confidence in a professional, feminine image. Claire made my character priority and helped me find smart pieces. Being so knowledgeable about trends, fabric, fit, colors, etc., she did of course challenge me and introduce me to great things I would never have considered before (and got a good laugh at my reaction to things like ruffles- she made it easy to say "thanks but no thanks"). The time I spent with Claire was valuable and comfortable. I would definitely recommend Claire to anyone, and I hope she doesn't go anywhere so I can work with her more! I had a wonderful experience with Claire. She is professional and respectful yet warm. Her style is on point. She brought in a variety of clothing choices that I would have never expected but fell in love with the items once I tried them ...MoreI had a wonderful experience with Claire. She is professional and respectful yet warm. Her style is on point. She brought in a variety of clothing choices that I would have never expected but fell in love with the items once I tried them on. Claire really *got* my vision for a powerful image and ran with it. I bought a whole new wardrobe with her direction. I am very busy newly single executive with two great kids, and we are always on the go but I wanted help updating my personal and professional look. What I appreciated most was that Claire took the time to learn about me and what I wanted and then she tailored her process to meet my personality and needs. She always has a great attitude and is willing to constructively challenge her clients to get the best results for them in a fun way. Not ever having done anything like this I was not sure what to expect, she explained her process and worked with my constraints to come up with a unique plan and then was there to walk me through every step of the way from closet clean out to tailoring to shopping. I really appreciated the personalize attention. With as busy as I have become, I don't have much time to shop, so I was a little wary of our trip. All I can say is that when I turned the corner in the dressing room and saw everything she had pulled out for me to try I was blown away not only with the thoughtful selection, breadth of choices but also the respect for my limited time. I also really appreciated the collaboration to prioritize purchases and work within my budget and plan next steps. While I am at the beginning of the process, I feel like I have a partner to help get me where I want to go. The service Claire performs in our household is one we can't live without, but didn't know we needed. As a divorced father of 3 growing boys, it's hard to stay on top of styles and wardrobes, especially as they outgrow things a few times a year. She's patient, professional, has a great eye, and manages all of our closets brilliantly. Thanks Claire. I highly recommend this service and more importantly, this stylist and her eye. Before I started working with Claire, the happy anticipation of attending a party or social event would always be dampened by the eventual realization that I didn't have anything I wanted to wear. I would often dash to the store at the last minute to scramble to find something that wasn't "too bad". I'm happy to report that this is no longer the case; I can't tell you how much this has improved my happiness! I make whatever plans I want and know that I have a flattering and comfortable outfit in my closet that makes me feel great. Melanie is an attorney and mother of her eight year old daughter. Contact Claire directly for more information and rates on all services. When it comes to style, Claire has earned her rank as a fully realized style expert qualified to teach the many facets of style and image for women and men. 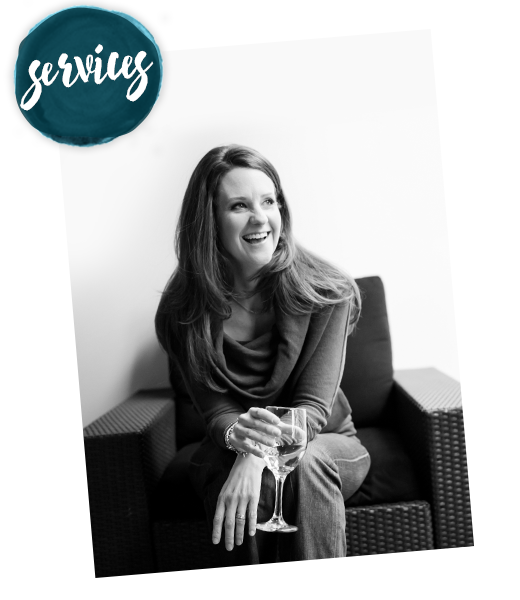 Claire has trained with the biggest names in the field of Image Consulting, including Carla Mathis of Body Beautiful, Brenda Kinsel, and Bev Dwane. She left the corporate world to find a career that would utilize her unique gifts and passions. Image Consulting was a perfect fit as Claire has always had a love for clothing and accessories that goes well beyond the average girl’s affinity for fashion. Claire has been gifted with a naturally keen eye for lines, colors, and shapes of ladies’ and men's finery and knows how to pair them with a person's lines, colors, and shapes. She knows and values the transformative quality that results from the right pairing. Word of mouth has lead her into a full time career in putting women and men's wardrobes together from head to toe for all sorts of life style demands. Her closet edits are quick and decisive, but she won’t put a kapeesh on her clients’ emotional attachments, or love for particular garments. After all she’s built a business on helping women and men achieve their best personal expression through their wardrobe, not Claire’s expression of them. She’s taught numerous workshops that focus on what women love and helped them put their findings into the context of style. She gives women the gift of permission take a moment to even think about what they like. Something most of us don’t do or at least not often. The process of teaching groups or working one on one has given Claire quite an education in how people think about themselves, their appearance and their self worth. Through the language of style, she has become somewhat of a psychologist (including, but not limited to “body Image “ and self acceptance), as well as a teacher, a friend, and a champion of a variety of women in which no two are exactly alike. Contact Claire directly for more information on styling services.